When my mom comes for a visit she's always happy to be put to work. 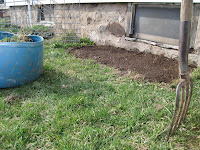 This time she dug and planted a plot of salad greens on the south side of the house. 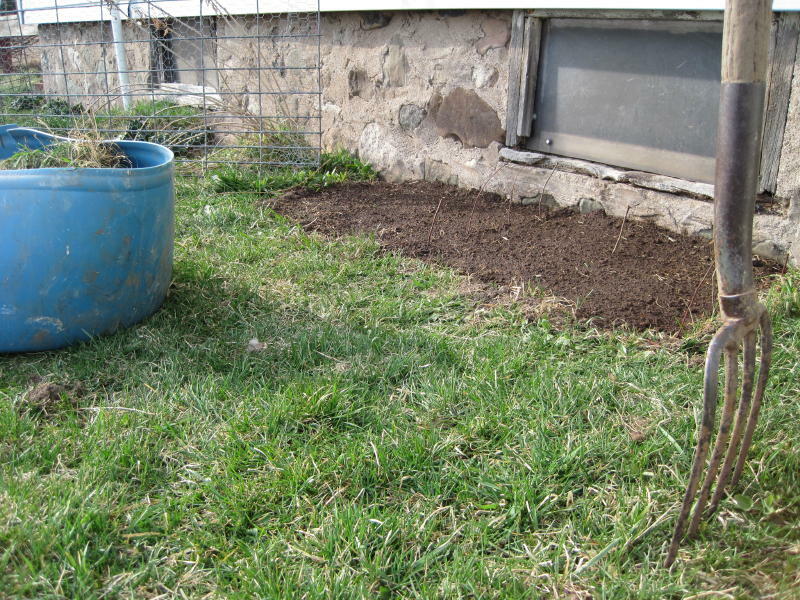 Every spring I think about the early salad I could get by planting in this sunny spot, but never manage to find the time to actually do it. Although the seeds haven't even germinated we are already enjoying the harvest from her garden plot. The pigs are anxious for the pastures to be ready to graze again after a winter spent by the barn. 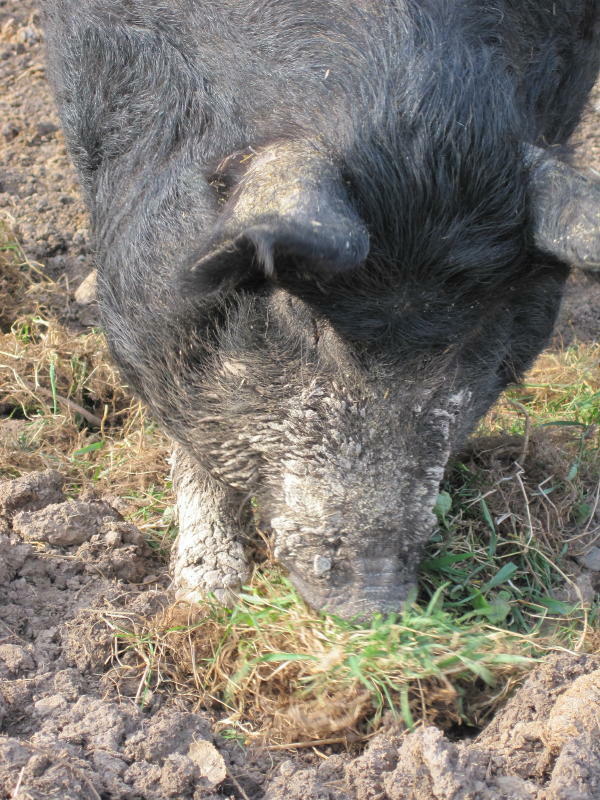 They were thrilled to get a taste of the days ahead, eagerly munching on the grassy roots pulled to make way for our salad.